The Conway Snowmobile Club appreciates your donations. We're all volunteers and recieve no state funding, so every five dollars helps maintain grooming equipment and pay for fuel. Click on the button below to make a donation to the Conway Snowmobile Club using your credit card or PayPal account. 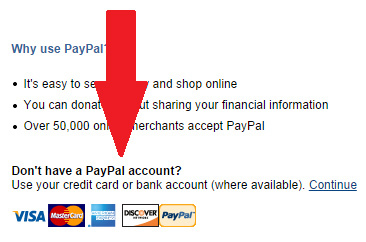 If you don't have a PayPal account, remember to look for this when you click on donate. It will allow a donation by credit card with no PayPal account!